WINNIPEG, Jan. 19, 2017 /CNW/ - (TSX: NFI) (TSX: NFI.DB.U) New Flyer of America Inc., a subsidiary of New Flyer Industries Inc. ("New Flyer" or the "Company"), the largest heavy-duty transit bus and motor coach manufacturer and parts distributor in North America, announced a successful three week demonstration of the New Flyer Xcelsior® XE40 battery-electric bus for the Metropolitan Atlanta Rapid Transit Authority ("MARTA"). The three-week electric bus demonstration concluding on December 23, 2016, transported over 2,200 passengers throughout the region on seven different service routes and yielded over 1,600 in-service miles. New Flyer's all-electric propulsion system has many benefits including zero tailpipe emissions, reduced noise inside and outside the bus, and low operational and maintenance cost. Paul Smith, New Flyer Executive Vice President, Sales and Marketing noted, "We were pleased to have the opportunity to demonstrate our Xcelsior® battery-electric bus for MARTA. Our electric bus met MARTA's bus rollout each and every day over the course of this demonstration. Having built over 6,400 buses with electric motors, New Flyer has the proven experience and unique qualifications to deploy electric buses and provide the support our customers rely on for the entire life of the bus." Xcelsior® electric buses are manufactured in St. Cloud, Minnesota; one of New Flyer's three U.S. based transit production facilities. New Flyer integrates Michigan sourced lithium-ion batteries into a durable energy storage system designed for North American applications. Close to MARTA in nearby Alpharetta, Georgia, Siemens manufactures high-efficiency electric motors and power systems for the Xcelsior's propulsion and regenerative braking system. New Flyer electric buses have the ability to quick-charge at an equipped bus stop. This capability typically requires only six minutes of re-charge for every hour of service operation. New Flyer also builds extended range electric buses with more battery capacity. These buses can operate for longer periods during the day, then recharged over-night using plug-in charging. MARTA is considering both types of charging methods for bus operations. Southern Company, its subsidiary Georgia Power (MARTA's regional utility company) and New Flyer are jointly participating with Electric Power Research Institute (EPRI) and the Society of Automotive Engineers (SAE) to implement standardized charging equipment and infrastructure to accompany the electric buses. Mr. Smith concluded, "We clearly understand the important role we play in supporting continuous air quality improvement in the communities we serve, consistent with our sustainability mission of 'a better product - a better workplace - a better world'. 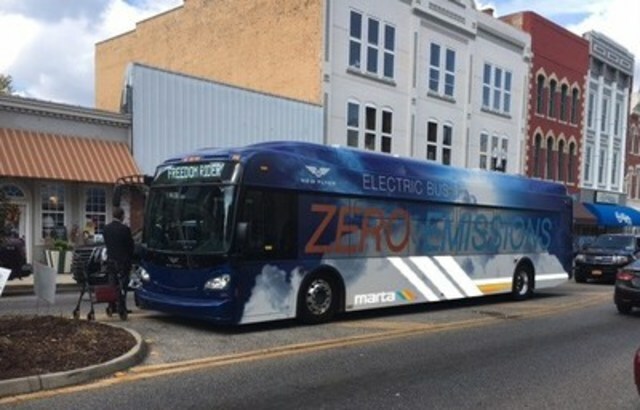 Our zero-emissions battery-electric bus demonstration in Atlanta follows MARTA's debut of New Flyer's clean-air compressed natural gas (CNG) articulated buses in May 2016. Whether it's battery-electric or low emissions CNG, each propulsion system with New Flyer's Xcelsior® platform offers both tremendous environmental and operational benefits." The Company is the largest transit bus and motor coach manufacturer and parts distributor in North America with fabrication, manufacturing, distribution and service centers in Canada and the United States and employs approximately 5,000 team members. Through its Canadian and U.S. subsidiaries, Motor Coach Industries Limited and Motor Coach Industries, Inc., the Company is North America's leader in motor coaches, offering the MCI J4500,which is the industry's best-selling intercity coach for 11 consecutive years, and the MCI D-Series, the industry`s best-selling coach line in North American motor coach history. MCI is also the exclusive distributor of Setra S417 and S407 in the United States and Canada. MCI actively supports over 28,000 motor coaches currently in service and offers 24-hour roadside assistance 365 days a year. The Company also operates North America's most comprehensive aftermarket parts organization providing support for all types of transit buses and motor coaches. All buses and coaches are supported by an industry-leading comprehensive warranty, service and support network. 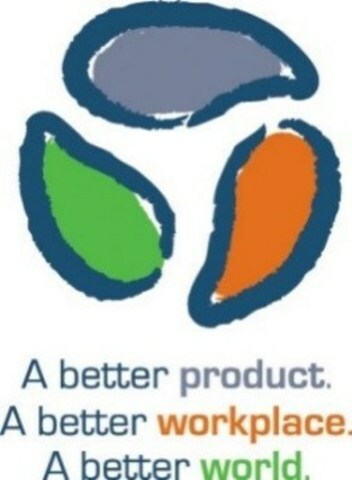 Further information is available on the Company's websites at www.newflyer.com and www.mcicoach.com.The common shares and convertible unsecured subordinated debentures of the Company are traded on the Toronto Stock Exchange under the symbols NFI and NFI.DB.U, respectively. This press release may contain forward-looking statements relating to expected future events and financial and operating results of the Company that involve risks and uncertainties. Although the forward-looking statements contained in this press release are based upon what management believes to be reasonable assumptions, investors cannot be assured that actual results will be consistent with these forward-looking statements, and the differences may be material. Actual results may differ materially from management expectations as projected in such forward-looking statements for a variety of reasons, including market and general economic conditions and economic conditions of and funding availability for customers to purchase buses and to purchase parts or services, customers may not exercise options to purchase additional buses, the ability of customers to suspend or terminate contracts for convenience and the other risks and uncertainties discussed in the materials filed with the Canadian securities regulatory authorities and available on SEDAR at www.sedar.com. Due to the potential impact of these factors, the Company disclaims any intention or obligation to update or revise any forward-looking statements, whether as a result of new information, future events or otherwise, unless required by applicable law.